Enough ranting!! Today I want to share a project I made few months back. I love 3D projects. So I made 2 teapot sets, one for myself and one for my girl to play using Silhouette Cameo and SVG Cuts design. 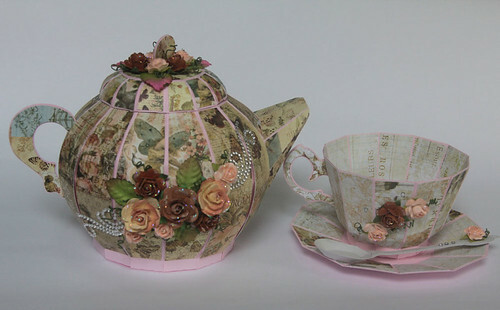 I used Pink Paislee paper collection for the teapot and cup. Love how vintage they are. Added Prima flowers and blings. This is such a pretty digital design file by SVG Cuts. Lovely, aren't they!! 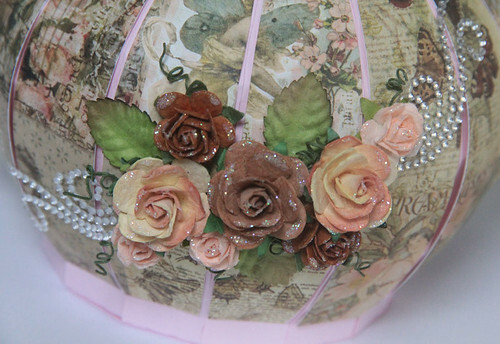 I added some glitter onto the flowers to sparkle them up. After seeing my finished project, my sweet girl requested to have a pink set for her. It took me some time to do another one for her. 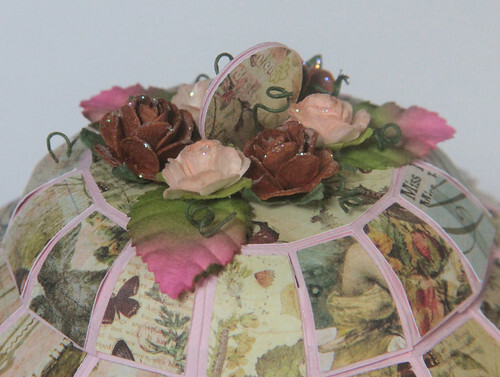 And I made a cupcake box for her as well. 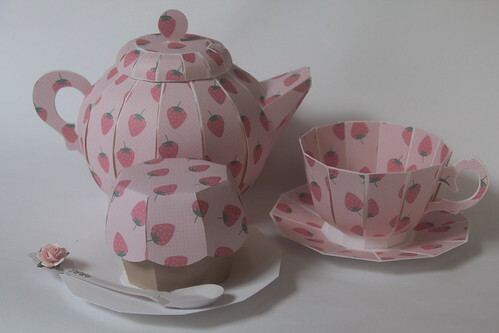 And I used her favourite fruit patterned paper, strawberry!! Well, thats it for today's post. I try to blog more often. Hope my followers will keep following me. hee... Do drop by and comment on my 5th blog candy post here to win some goodies. Your teapots and teacup sets are amazing.